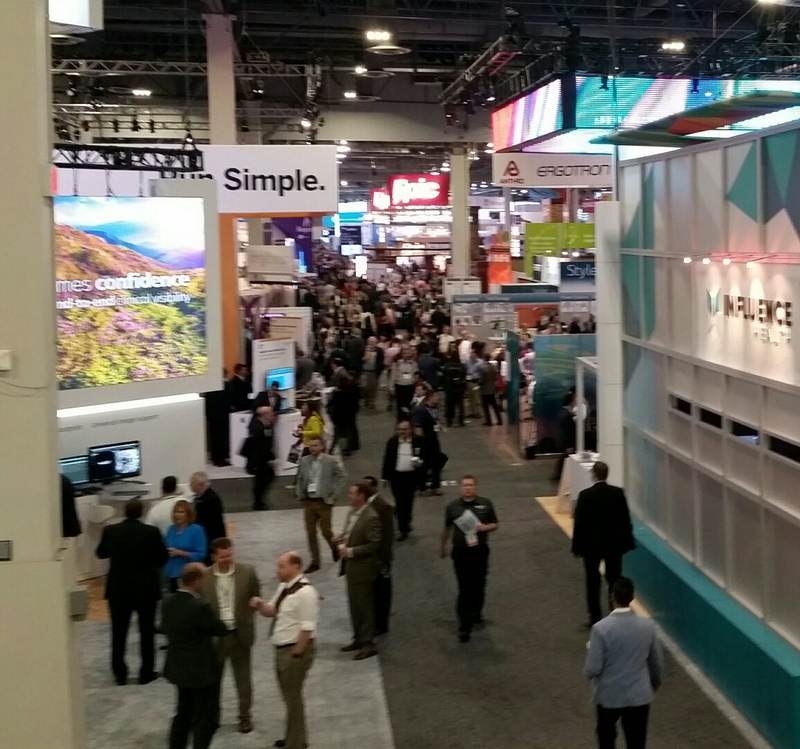 OTech: HIMSS2016: Imaging is still an IT stepchild. Typical traffic pattern at the show. is moving from a department (radiology, cardiology etc.) level to an enterprise level, and becoming a CIO responsibility, over the past few years, HIMSS has been doing very little to prepare its members to do this effectively. As a case in point, of the 287 educational sessions at the recent annual meeting (HIMSS2016), only two dealt with imaging, (not counting a vendor session on this topic), which is less than 1 percent. After IT capital investments including EMR, and facility improvement allocations, imaging is the third biggest hospital budget item according to a recent survey. Who is managing this effectively to prevent yet another department from purchasing a different image management solution? Who is defining an enterprise wide imaging and information management strategy that includes archiving, cross enterprise image exchange, life cycle management, and, last but not least who is establishing a comprehensive set of rules for security and privacy for these expensive acquisitions? I would guess the CIO, but HIMSS better be prepared to provide these professionals with the right skills and resources. Otherwise, how are images being effectively managed to allow sharing and displaying in the EMR? It is not only the images from the traditional sources such as the CT’s, MR’s, ultrasounds, scopes, and many other medical devices, but in addition, the many images taken for wound care, dermatology, and many other applications by physicians on their smart phones. There is a big need for policies and appropriate encryption and EMR interface management. 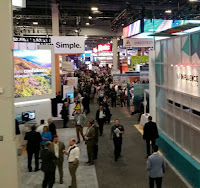 There is a disparity in the HIMSS approach as it provides significant investment in the form of personnel for the Integrating Healthcare Enterprise (IHE) and allocating a lot of resources for the annual interoperability showcase at the annual meetings. For example, the IHE currently has 12 domains, of which 50% deal with imaging: pathology, cardiology, dentistry, eye care, oncology and radiology. Also, four of the ten showcases demonstrated at the interoperability showcase included imaging. So, from an investment perspective, HIMSS is doing the right thing, but maybe not at the right place. There is a glimmer of light at the end of the tunnel as there was an HIMSS-SIM workgroup report during the meeting and at the European Society of Radiology (ESR) meeting there was an announcement of a diagnostic imaging model by HIMSS analytics (see link). However there is still a lot of work to do. Hopefully, HIMSS 2017 will be a positive change for the imaging world to provide CIO’s with the right education and tools to develop the appropriate imaging strategy. Imaging will play a prominent role in the near future as healthcare moves to the Enterprise Service Bus (ESB) concept. It's vitally important that CIOs espouse the need to move to an ESB if institutions are to be totally connected everywhere in healthcare! We assume IT wants to be educated about their imaging obligations. I submit they don't. I've blogged about the disconnect for over 11 years now, and I've seen no significant change. The only calculus understood in the C-Suite is that of the Dollar Sign. Imaging, and the super-set of the EHR are very expensive computer systems, and IT simply wants domain over the budget. Sure, the idea is to do a good job of it, but most IT wonks did not originate in Radiology, and some didn't even come from health-care at all. They don't understand our workflow, they don't understand our needs, and they don't understand that they don't understand. How to get them to listen? I wish I knew. I personally think Radiology should share control of PACS with IT, each side bringing its own expertise to the table and synergistically running the show to the benefit of all. Apparently that can't happen in most shops, again because these are such high-cost items that IT is not going to give them up without a fight. Sadly, the answer probably lies in exposing the shoddy job many IT departments are doing with their PACS possessions, letting the powers-that-be know that patient care is being negatively affected by poor management. But with the CIO's generally having a better relationship to the CEO than we do, even that would probably be ignored.